Black Lagoon – Second Barrage… I wonder why they didn’t change the title to R2 or maybe Rock and Revy or Double-Are. 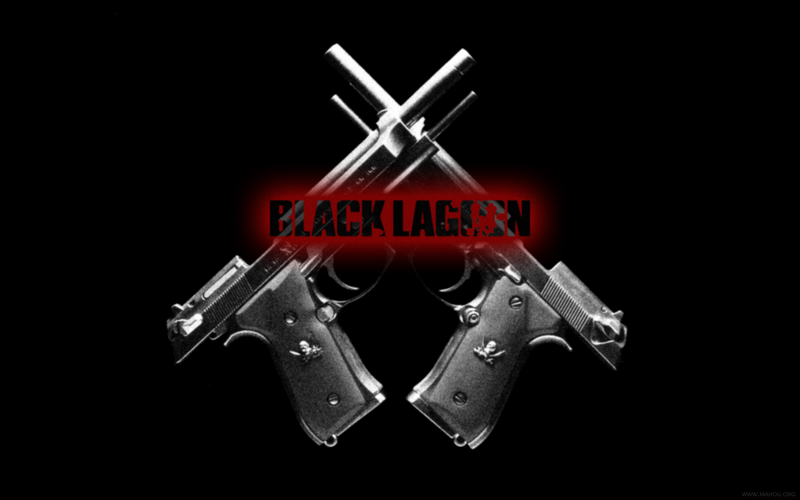 Seriously… why named it Black Lagoon if you didn’t even tell the stories about them? In S1 they always put focus on Revy (and Rock), sure, but they at least, still gave enough screen time for Dutch and Benny. However in S2… nothing. Just nothing. They were too busy wasting the good characters just for developing bad characters. I didn’t know what the author/director/writer was thinking when they made this. To be fair, yeah, Revy is not that bad. Rock is not that bad. But they, sure, loved to whine about their life. I’m sorry to say… but I don’t give a crap about your viewpoint, your belief, your oh-s0-wise-words. So stop… stop spouting your philosophical nonsense as if they were the truth of the world. I’m not sharing your view, and you won’t persuade me! Not to mention, for the story that is supposed to be realistic, Black Lagoon is nowhere near it. Destroying enemy base with only one… or two people? They didn’t even get any scratch even when many bullets passed around? And I’m not sure where they packed their ammo because from what I could see it was almost like unlimited. The character development is bad, if there was any. Maybe it’s just me, but I feel the change within Revy’s personality a bit too forced. Why she grew to be a softie all of sudden? Why she was attached to Rock that much? I watched the previous arc and she was still the same as always, but then baaam! suddenly she was being overprotective of Rock? And Rock got his chardev in S1 Eps 1-2, after that… he was a stagnant character who didn’t even know where his stand though liked to force his opinion on others without thinking, without knowing anything, without even considering his own strength. Did you have the right to judge other? To give value with your own view? Could you please at least defend your opinion with your own power? Lucky he was the main protagonist (maybe I shouldn’t use that word since I don’t give him any sympathy), so the Author won’t make him die just like that. Dutch and Benny of course didn’t get any development. They focused to the antagonist or that main char’s arc too much they didn’t even have time to develop the main char’s story. It’s laughable really. The only savings… or maybe the only remarkable thing about this show is the art. The animation is very fluid and nice. The character designs are good too. You can tell the difference between—important—characters (with the small fries) easily. And although the color looks a bit too bright in my opinion, it’s fine. internet. I most certainly will highly recommend this blog! Τhіs info iss invɑluable. ᕼow ccan I fіnd out more?